The aim of the following post is primarily to share a map of the villages, towns and lands that have been lost to the sea along the east coast of Yorkshire since the Roman period, along with some details of what is arguably the most interesting of these lost settlements, the medieval 'island town' of Ravenserodd. 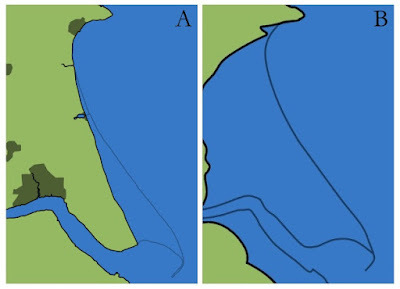 The post also includes some maps of the potential far-future coastlines of this region if coastal erosion and sea-level changes continue in the manner that they are expected to. The lost towns and villages of the East Yorkshire coastline, based on the map in T. Sheppard, The Lost Towns of the Yorkshire Coast (London, 1912), with some modifications. The coastline at the end of the Roman period is shown in orange-brown and is set against the modern landscape (green), showing the extent of the erosion on the east coast. 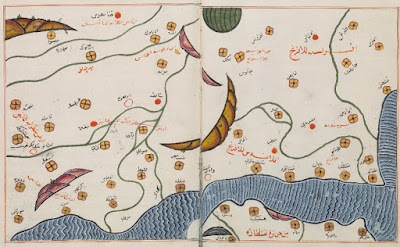 Also depicted are the lost settlements of this coast and some of the major population centres today. Note: the 'new lands' on the north side of the Humber were created via reclamation from the seventeenth to twentieth centuries (image: C. R. Green). forty years ago a certain ship was cast away at Ravenserodd, where no house was then built, which ship a certain man appropriated to himself, and from it made for himself a hut or cabin, which he inhabited for so long a time that he received ships and merchants there, and sold them food and drink, and afterwards others began to dwell there. The exact location and nature of Ravenserodd is open to some debate, but it is often believed to have been located to the east of the present-day Spurn Point and was said in the fourteenth-century Chronica Monasterii de Melsa to have been 'distant from the mainland a space of one mile and more', with George de Boer considering it part of a cyclical history of Spurn Point, although his model of the development of Spurn has been disputed by other researchers. Whatever the case may be, it appears clear that the settlement on this new island or semi-island at the mouth of the Humber expanded rapidly under the lordship of William de Forz, Count of Aumale, and his heirs, who obtained a charter for a market and a fair at Ravenserodd in 1251. Certainly, it had begun to seriously threaten the trade of Grimsby by 1290, with the men of that Lincolnshire port accusing those of Ravenserodd of piracy, stating that the Ravenserodd men arrested 'with a strong hand' any merchant ships headed to Grimsby and 'by fear and force have compelled and daily do compel them to turn aside to the aforesaid new town, and to sell their merchandize there', leading to the growth of Ravenserodd and the partial desertion of the port of Grimsby! 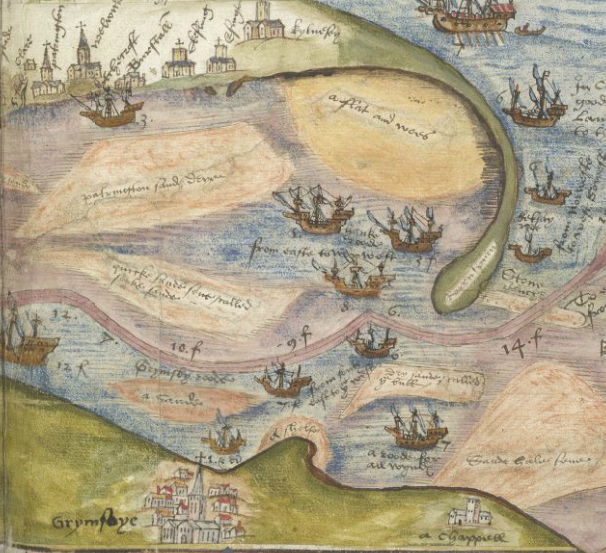 Detail of Spurn Point and Grimsby at the mouth of the Humber in the late sixteenth century, from the pocket atlas of William Cecil, Lord Burghley, dated 1595; click for a larger view (image: BL). the inundations of the sea and of the Humber had destroyed to the foundations the chapel of Ravenserodd, built in honour of the Blessed Virgin Mary, so that the corpses and bones of the dead there horribly appeared, and the same inundations daily threatened the destruction of the said town. that town of Ravenserodd, in the parish of the said church of Easington, was an exceedingly famous borough devoted to merchandise, as well as many fisheries, most abundantly furnished with ships, and burgesses amongst the boroughs of that sea coast. But yet, with all inferior places, and chiefly by wrong-doing on the sea, by its wicked works and piracies, it provoked the wrath of God against its self beyond measure. Wherefore, within the few following years, the said town, by those inundations of the sea and the Humber, was destroyed to the foundations, so that nothing of value was left. With regard to the date of this 'total annihilation', the last evidence for commercial activity at Ravenserodd comes from 1358, when 'ships from Ravensrode' are mentioned as being made to carry wool from Boston to Flanders, and its final abandonment appears to have taken place by 1362, when a number of men were brought before Easington manorial court for 'throwing down and rooting up the timber of the staithes at Ravensrod', implying that the town was by then derelict. 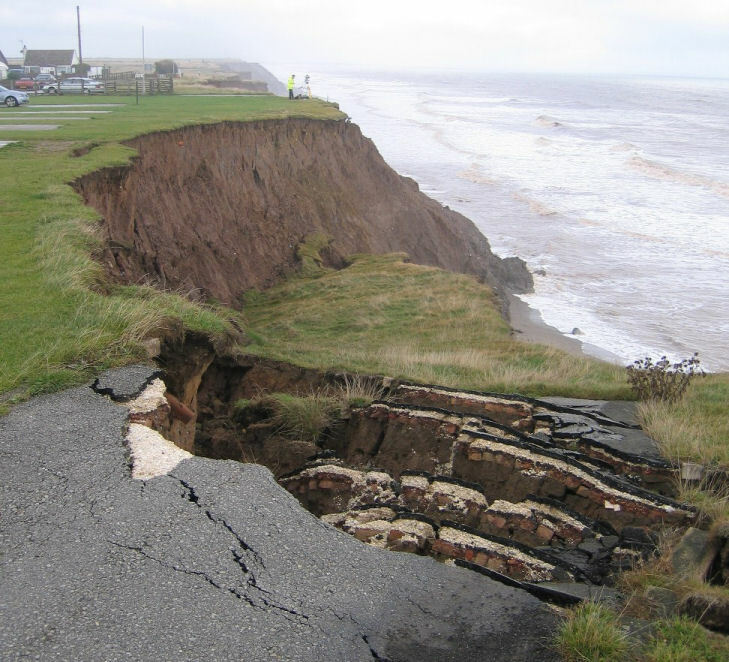 The end of the road at Aldborough, East Yorkshire, showing the continuing coastal erosion here (image: British Geological Society, used under their non-commercial licence). If Ravenserodd thus represents the most dramatic tale from the Yorkshire coastline, a town and port that was said to have risen from and fallen back into the sea in the space of little over a century, there are nonetheless numerous other instances of the destructive power of the sea that might be cited too. 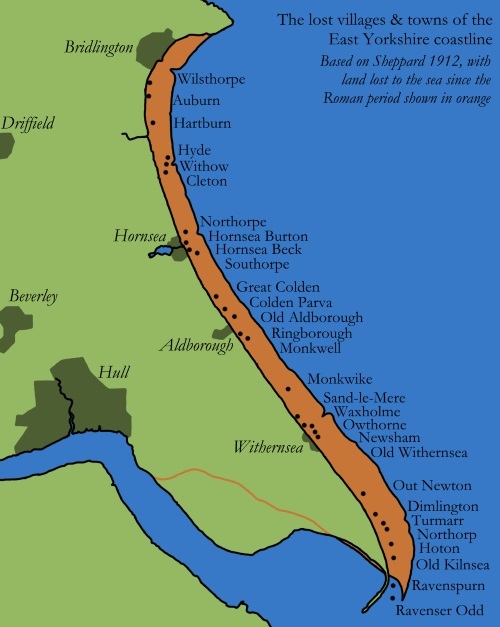 For example, Hyde, in the manor of Skipsea and Cleeton, was totally destroyed by the sea as early as 1396, having suffered damage from at least as early as 1344–5, whilst St Mary’s Church at Withernsea was lost to the sea in around 1444 and that of Owthorne (or Sisterkirke), located immediately to the north of Withernsea, was finally demolished in 1816, after the last traces of the village were destroyed by the waves in the late eighteenth and early nineteenth centuries. Similarly, the settlement of Hornsea Beck is mentioned in the early thirteenth century and rivalled Hornsea itself for size in the late fourteenth to mid-sixteenth centuries, but in 1609 it was said that 38 houses had been destroyed since 1547 and by 1695 all but one or two houses had been washed away. 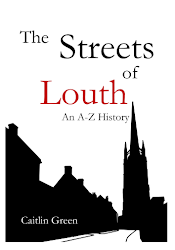 On the other hand, it is worth noting that the settlements of Northorpe and Southorpe by Hornsea probably weren't eroded by the sea as Sheppard thought, but instead were simply deserted, with traces of both still to be found on the ground according to the recent Victoria County History account of this parish. Turning finally to the question of any potential future losses along the coastline of East Yorkshire, this has been the subject of a number of studies. The continuing erosion of the coast here is reportedly occurring at the fastest rate seen in Europe and is part of a long-term trend that began at the end of the last 'Ice Age', as has been discussed in two previous posts on this site. Looked at from a historical, multi-millennial perspective, the continued erosive force of the sea on the glacial till of Holderness is thought likely to result in the drowning and loss of a significant part of the coastline here over the next 5,000 to 10,000 years, as the following two maps depict. The first shows the suggested natural end-point of the erosion of the east coast, assuming no further significant sea-level rises, with a wide bay ultimately taking shape between the two hard headlands at Flamborough and Cromer, Norfolk, over the course of the next several thousand years. The second map shows the likely final coastal retreat if there is a significant degree of sea-level rise on a multi-millennial scale, which the Institute of Estuarine and Coastal Studies indicates will deepen the offshore waters and thus cause the eventual retreat of the coastline back to its pre-glacial position. With regard to these two scenarios, it is worth noting that the present-day climate appears to be approaching 'a level associated with significant polar ice-sheet loss in the past', as one recent study put it, something that may ultimately imply six metres or more of future sea-level rise spread over the next several thousand years. If so, then the second scenario could well be the most credible of the two outlined below, albeit one set perhaps 10,000 or so years in the future. Two possible scenarios for future coastal erosion of East Yorkshire on a multi-millennial scale, as per the Institute of Estuarine and Coastal Studies, Hull, and assuming that the sea defences on this coast are unsustainable in the very long-term: A, the scenario if there is no significant future sea-level rise, after IECS, Humber Estuary & Coast (Hull, 1994), p. 7; B, the scenario assuming significant sea-level rise on a multi-millennial scale, based on the pre-glacial coastline during MIS 5e (images drawn by C. R. Green). The content of this post and page, including any original illustrations, is Copyright © Caitlin R. Green, 2016, All Rights Reserved, and should not be used without permission. This is the blog of Dr Caitlin Green. It features posts on my main academic research foci alongside other topics that I'm currently working on, including drafts of papers, ideas and similar—these are usually identifiable by the presence of footnotes. You're free to cite these drafts if they are of interest, and are reminded that academic blogs are indeed citable under most citation systems. 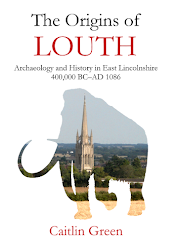 In addition, the current site also houses posts relating to my personal interests, including long-distance trade, migration and contacts; landscape and coastal history; early literature and legends; and the history, archaeology, place-names and legends of Lincolnshire and Cornwall. For further details of this website & how to contact me, please see the 'About' page or @caitlinrgreen on Twitter. Thanet, Tanit and the Phoenicians: Place-Names, Archaeology and Pre-Roman Trading Settlements in Eastern Kent? 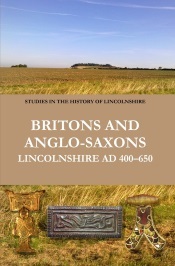 A 'Sorcerer's Stronghold' in Anglo-Saxon Nottinghamshire: Teversal, Sherwood... & Tolkien's Dol Guldur? 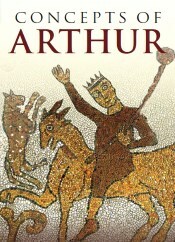 Sasanian finds in early medieval Britain and beyond: another global distribution from Late Antiquity?